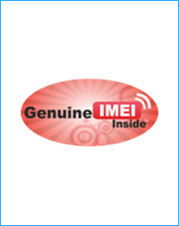 IMEI (International Mobile Equipment Identity) is unique 15 digit identification number of the Mobile Handset. It is like the registration number of your vehicle. One can check the IMEI no of the Mobile Handset by pressing *#06#. IMEI numbers are being allotted by four bodies authorized by GSMA. From IMEI number one can identify the make and model of the handset. No two mobile handsets in the world should have the same IMEI number. IMEI number is an important tool for the handset tracking.